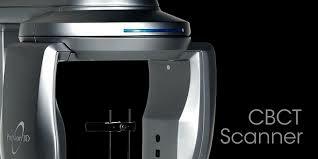 Dr. Azghandi is a firm believer in advanced technologies to achieve the optimum results for his patients. He constantly updates his knowledge and acquires new equipment to achieve this goal. This imaging machine provides 3 dimensional views of the jaw and sinuses enabling Dr. Azghandi to diagnose and plan his implant procedures with unprecedented accuracy and safety. 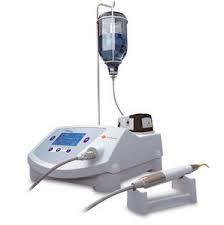 He routinely uses this machine prior to sinus augmentations and implant placements. This machine utlizes a unique bone-friendly technology which minimizes trauma to the hard and soft tissues in the mouth. Dr. Azghandi also uses this machine for removal of the teeth while preserving the surrounding bone, especially in immediate implant cases. 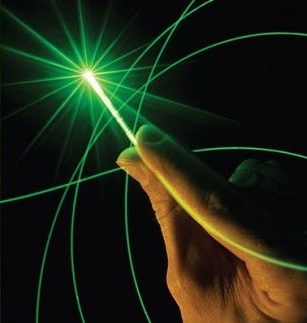 Soft as well as hard tissue lasers have been increasingly used for the past decade in variety of oral procedures. Dr. Azghandi uses his laser equipment for the speed and comfort it affords the patient. Typical recovery time from a laser procedure is significantly shorter than conventional surgeries.